Narragansett Bermuda Style Pilsner is the OFFICIAL beer of America's Cup 2017, taking place in Bermuda. 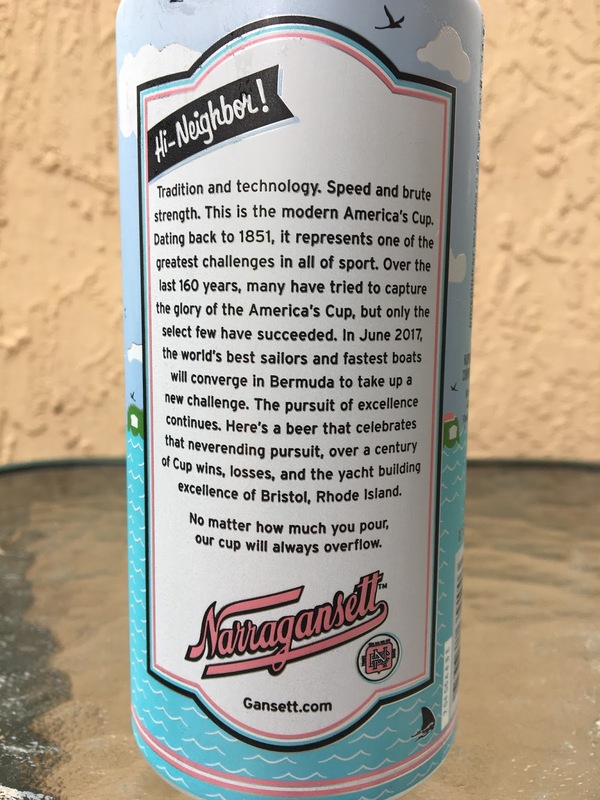 The beer was brewed to celebrate the history of America's Cup and "yacht building excellence of Bristol, Rhode Island." 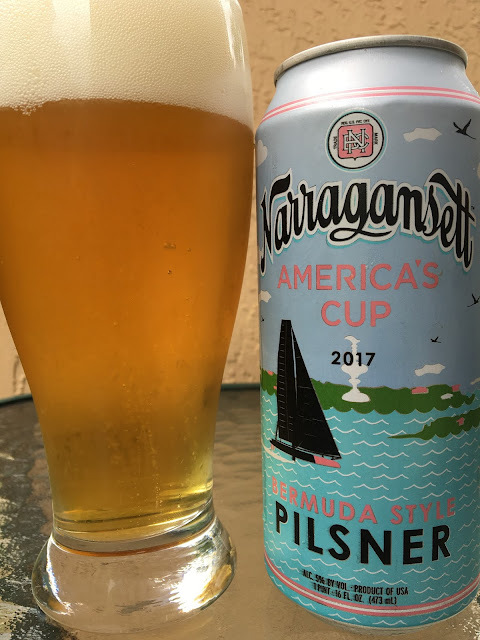 I'm pretty sure this was brewed in Rochester, NY though. Pounder can with some nice artwork. 5% alcohol. Pairs nicely with spicy island dishes. Grainy, lemon aroma. Nice honey sweetness to start. Grainy, bready sweet continues. There is definitely a tangy component as well. A touch of lemon and citrus bitterness add some balance. A little prickly carbonation is also a welcome component. A little sweet but tasty enough. Check it out before it's gone!